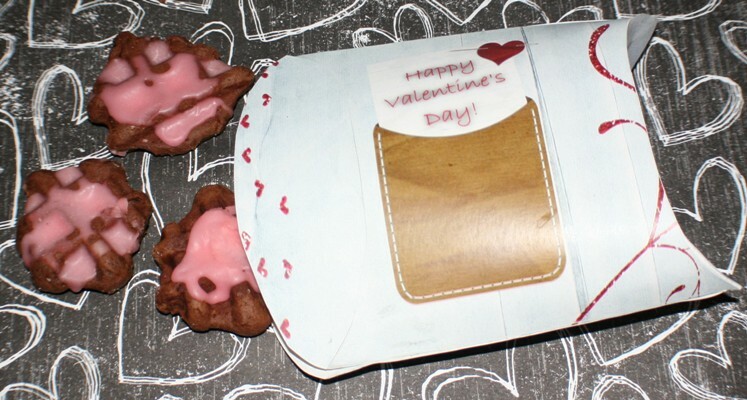 My five kids were really wanting to do something nice for their friends and teachers for Valentine’s Day, and I was looking for something easy to make that they could help out with, but that would be presentable enough for gift giving. Because these cookies are made using a waffle iron they’re super quick and easy and the kids absolutely loved getting to help out with pouring batter (under strict supervision of course), and using what was left of the frosting on the cookies after all the taste testing was over. 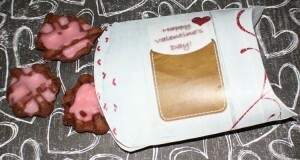 We added some red food coloring to our frosting to make it a little more festive for the holiday, and I created a printable Valentine’s Day pillowbox container for them to deliver the cookies. 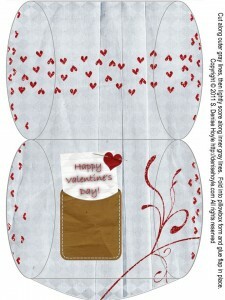 Click here to grab your free copy of the pillowbox printable, it can used for cookies or other small treats and gifts. Melt margarine and mix with cocoa. Add sugar and eggs then mix. Add vanilla and flour and mix well. Drop by teaspoonful onto a hot waffle iron. Close lid and let bake for 1 minute. Remove cookies with a fork and proceed with the next set. To make the frosting heat the margarine, granulated sugar, milk and vanilla for 1 minute in a small saucepan. Add a small amount of confectioners powdered sugar at a time until the frosting thickens slightly but can still be poured on top of the cookies. Let cookies set until frosting thickens, and serve. How fun. These look like something I need to try. Thanks for sharing.